Bringing local, farm-fresh organic produce to Crown Heights & Prospect Heights, Brooklyn. But because we all like to try and deny the inevitable necrosis of all things, here’s how to make ‘em last their longest, Death Becomes Her Style. There’s two prevailing schools of thought on this subject, as per my titular hyperbole and ten minutes of internet research. The first school of thought says DO NOT WASH YOUR BERRIES UNTIL YOU ARE READY TO PUT THEM DIRECTLY INTO YOUR MOUTH. But DO sort through them and get rid of any berries that are smooshed, moldy, or just look a little bit iffy. Prioritize consuming the ones that look the ripest first and place those at the top with the least ripe at the bottom. Place them all in an air tight glass container with a paper towel along the bottom. The less you have to stack em within the container the better because it means less bruising. The other school of thought recommends washing berries in a water and vinegar solution prior to storing them. 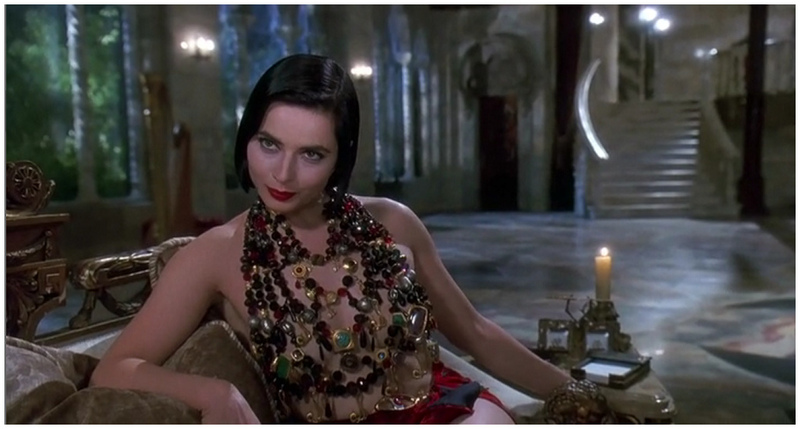 They say this helps kill off the mold spores and bacteria that are already taking hold, thereby keeping them vital longer.If you want to continue my Death Becomes Her metaphor (as I do) then think of this like the amazing, death destroying serum Ms Rossellini is dispensing. BUT BE WARNED: much like the movie’s heroines, you still have to take good care of your berries if you do this. Dry them diligently with a towel, maybe even spin them gently in a salad spinner. Package them in an air tight container in your refrigerator, preferably with a lining of paper towels, as per above. Using one of these two methods, blueberries can last ya nearly 2 weeks. Strawberries the same. Raspberries probably 4-5 days. Crunch Berries will last past the next ice age. The cool thing about writing this is I get to troubleshoot issues I’m having and then pass the info along. For instance, my cucumbers from last week are looking a little…. well…let’s just say they could use some veggie Levitra. Cucumbers, like tomatoes, should not be stored in the fridge. If they are they start to get all wet and narsty. It’s actually best to keep them at room temperature, and if you absolutely must refrigerate them, do so only for 1-3 days and keep them on the top shelves of your fridge where it is less cold than at the bottom. They also should be kept away from anything that emits ethylene such as bananas, melons and tomatoes. Zuchinis also don’t want to be stored in the fridge, but rather at room temperature. If you must refrigerate them, they want to be placed in a perforated plastic bag and kept in the crisper bin for not more than 5 days. Squashes, by contrast, DO want to go in the fridge. Ideally you will store them in an airtight plastic bag (most places recommend squeezing all the air out and wrapping the fruit tightly) and then storing them in the crisper bin. It is not recommended to warsh your squarsh prior to storing them. I’m sure my Papaw would agree. This idea comes from Core Group members Caroline and Anthony and is a great way to help you manage your share and plan meals for the week. Keep a chalkboard or dry erase board in the kitchen on which you write down your weekly share. You can then write down menu ideas for each item and also keep running lists of groceries to get to supplement, etc… That way everyone can pitch in on ideas, shopping and planning. As you finish a veggie, cross it off! Here’s a blog I found that gives other tips about that— including how to make your own chalkboard and/or chalkboard paint. It’s time!! Sign up today for your 2019 CSA share! CSA season begins in JUST ONE WEEK!! Register for the 2018 CSA Season!